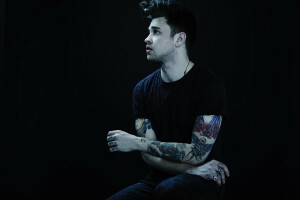 Reece Mastin recently returned to the albums charts with his first independent long player, ‘Change Colours’. The album debuted at No.12 in the middle of last month and the singer gave his legion of Lil’ Rockers the honour of choosing the lead single from the album. Overwhelmingly, they chose ‘Even Angels Cry’. Now the video has arrived. It sees the singer in a sparse warehouse space with his acoustic guitar, performing the track into a microphone, backed by his string section. There’s no big production and no masses of special effects. But that’s what makes this new chapter of Reece Mastin’s career special; strip it all away and you’ve got pure, honest talent.